Article first published as Book Review: ‘Compass’ by William F. Brandt, Jr on Blogcritics. This company not only survived multiple economic downturns and was losing money, but learned what it really takes to be an exceptional organization. Brandt has every right to be proud of his leadership! Upholding values in spite of what feels right, dealing with the demands of board of directors, etc., takes a strong leadership style, exactly like William Brandt has demonstrated during turbulent times, only to come through the storm with success. Not many business guide books are forthcoming in saying “I don’t know”, but this CEO does just that. Through my own lessons in life I could personally attest to the power behind “I don’t know!” I always say you cannot fill a full cup! I liked the chapter about not having all the answers, but being willing to stay until you do. That’s courage! When companies set values and decide to live by them, no matter what, there will be work to do to create a culture willing to follow a new path. People are more comfortable with a routine and when changes start happening, the resistance begins! These leaders all went through rigorous training sessions, one level at a time, starting with the top management. The funny part was this group was the biggest group that needing convincing that change was necessary! 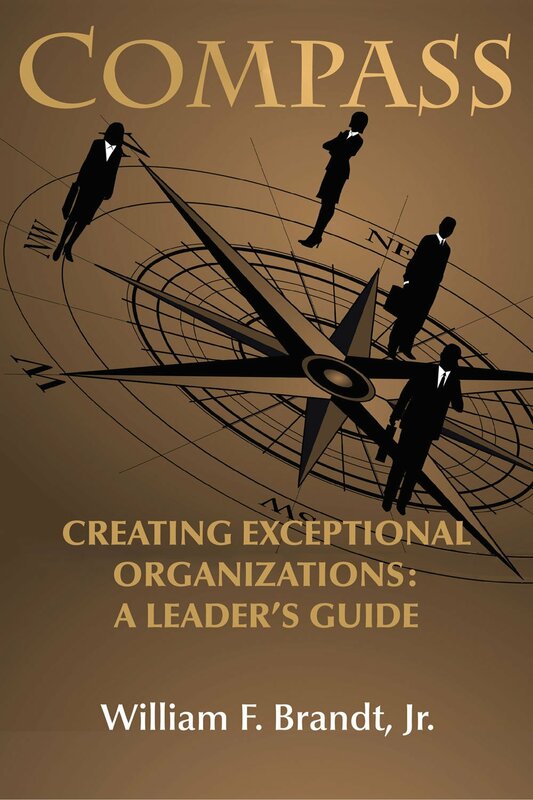 “Compass: Creating Exceptional Organizations: A Leader’s Guide” by William F. Brandt, Jr., inspired me and kept me interested like a good novel. The essays were really interesting and gave this “how to” guide real credibility! One key element that I believe to be true is that the more value you place on your people the bigger the payoff. William Brandt is an incredible leader and a true gentleman that knows how to bring about an exceptional organization and lead by example!! This is one book to not overlook! This entry was posted in Books, Business & Investing, Non-Fiction and tagged Book Review, Compass: Creating Exceptional Organizations, William F. Brandt Jr.. Bookmark the permalink.